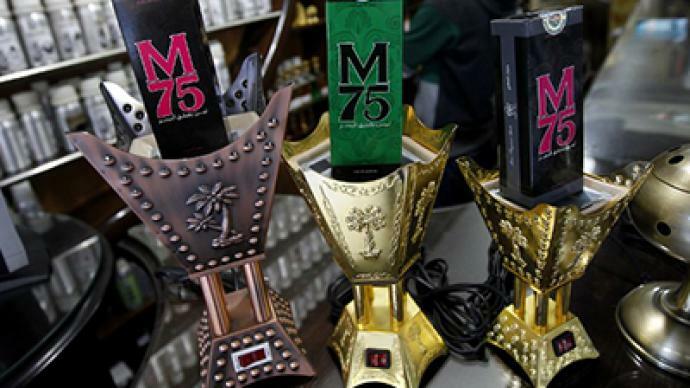 A cosmetic company in Gaza has launched M75, a new perfume named after a long-range missile used by Palestinian militants to target Jerusalem and Tel Aviv during Israel’s recent Operation Pillar of Defense. ­The name for the scent was chosen to commemorate the "victory in the Gaza Strip," Shadi Adwan, the owner of the Gaza-based “Stay Stylish” cosmetic company said. "The fragrance is pleasant and attractive, like the missiles of the Palestinian resistance, and especially the M75," Adwan told local media outlet Al-Resalah. A cologne for men bearing the same name is also available, and both are quite costly (50 Israeli shekels, or $13) – double the regular price of other locally sold fragrances. The price hike reflects the scent’s luxurious ingredients, which are equally “worthy” of the Palestinian fighters success on the battlefield, the owner of the cosmetic enterprise explained. The M-75 missile possesses a range of 75 kilometers (46 miles) and was used by Hamas’ Al-Qassam Brigades in the eight-day conflict between Israel and Gaza last month, including the attacks on Tel Aviv and Jerusalem. The conflict ended with a ceasefire. Just days ago, a replica of the rocket adorned the stage during the celebration of Hamas' 25th anniversary. 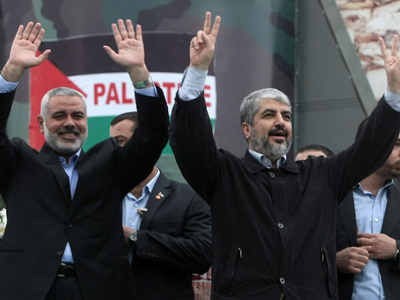 The militant group’s leader promised those in attendance they would "never recognize Israel." The violence killed at least 174 Palestinians, including more than 100 civilians, and six Israelis – four civilians and two soldiers.